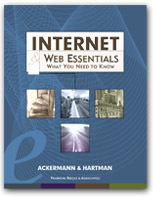 This chapter introduced several types of search tools available on the World Wide Web. These toolsdirectories and virtual libraries, search engines and meta-search tools, specialized databases, and intelligent agentsare all useful ways to find information. Directories, sometimes referred to as subject catalogs, are topical lists of selected Web resources, arranged in a hierarchical way. Directories differ from search engines in one major way: the human element involved in collecting the information and maintaining it. While search engine databases are created by computer programs, directories are created and maintained by people. Directories dont cover the entire Web. In fact, directories are quite small collections of resources, compared to the huge databases that search engines search. Browsing directories can be a very effective way to find the resources you need, especially if youre sure where the information youre searching for would appear on the Web. Virtual libraries are directories that contain collections of resources that librarians or information specialists have carefully chosen and have organized in a logical way. Virtual libraries typically provide an organizational hierarchy with subject categories to facilitate browsing. The main difference between virtual libraries and directories is that virtual libraries are much smaller since the resources included are very carefully selected. The people who organize virtual libraries are usually on the lookout for three major types of information: subject guides, reference works, and specialized databases. Search engines are tools that use computer programs called spiders or robots to automatically gather information on the Internet and create full-text databases. Spiders go out on the Internet and locate hyperlinks that are available to the public. The spiders then load these resources in a database, which you can then search with the search engine. The major search engines all attempt to do the same thingindex the entire Webso they handle a huge amount of data. Meta-search tools allow you to search several search engines simultaneously or provide a list of search forms to allow you to search one tool at a time. Intelligent agents can perform repetitive tasks like searching databases and retrieving and filtering information. The information found on the World Wide Web is diverse and some of it may be offensive to some people or inappropriate for children. There are software programs that have been designed to block or filter Web sites that have certain words in them. There was a movement to force the government to control the content on the Web and the Internet. The U.S. Supreme Court ruled in 1997 that the Communications Decency Act of 1996 was unconstitutional in that it abridged the freedom of speech upheld by the First Amendment. Some of the most well known directories on the World Wide Web. A directory is a topical list of Internet resources, arranged hierarchically. Directories are meant to be browsed, but they can also be searched. Directories differ from search engines in one major way - the human element involved in collecting and updating the information. Meta-Search tools allow you to search either more than one search engine or directory simultaneously or a list of search tools that can be accessed from that site. These two major types of Metasearch tools are called parallel search tools and all-in-one search tools. Going into some of the details of search engines. A search engine is a collection of programs that gather information from the Web,index it, and put it in a database so it can be searched. The search engine takes the keywords or phrases you enter, searches the database for words that match the search expression, and returns the results of the search to you. The results are hyperlinks to sources that have descriptions, titles, or contents matching the search expression. You may want to use some of these search tutorials to help sharpen your searching skills. A virtual library is a directory that contains collections of resources that librarians or other information specialists have carefully chosen and organized in a logical way.